so I've been trying to recreate Manny's office for a while now but it was really hard trying to get the proportions and camera angles right. 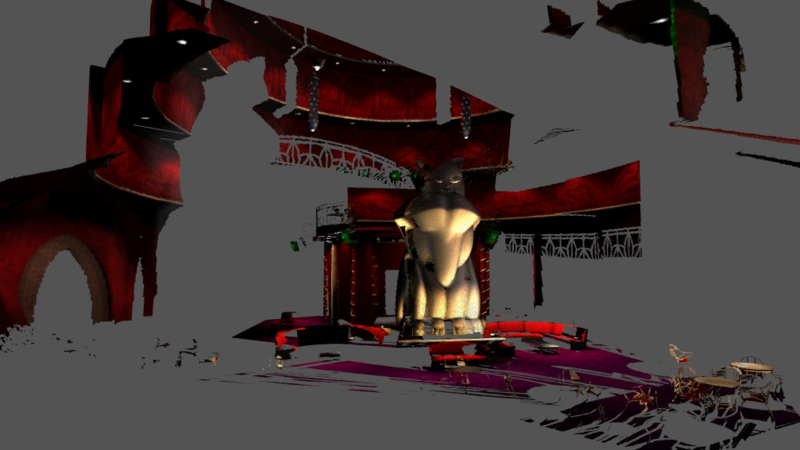 Now with the re release they have included the l3d files which store all the lights and all the camera angles of the scene along with the FOV of the cameras. I've set up all the cameras for Manny's office and the match up perfectly. so for any one interested in creating backgrounds it would be a lot easier by setting up the cameras. also in the documentaries it seemed that they had roughly recreated the backgrounds, does anyone know how they could have done it? did they use the zbm images? Nice! 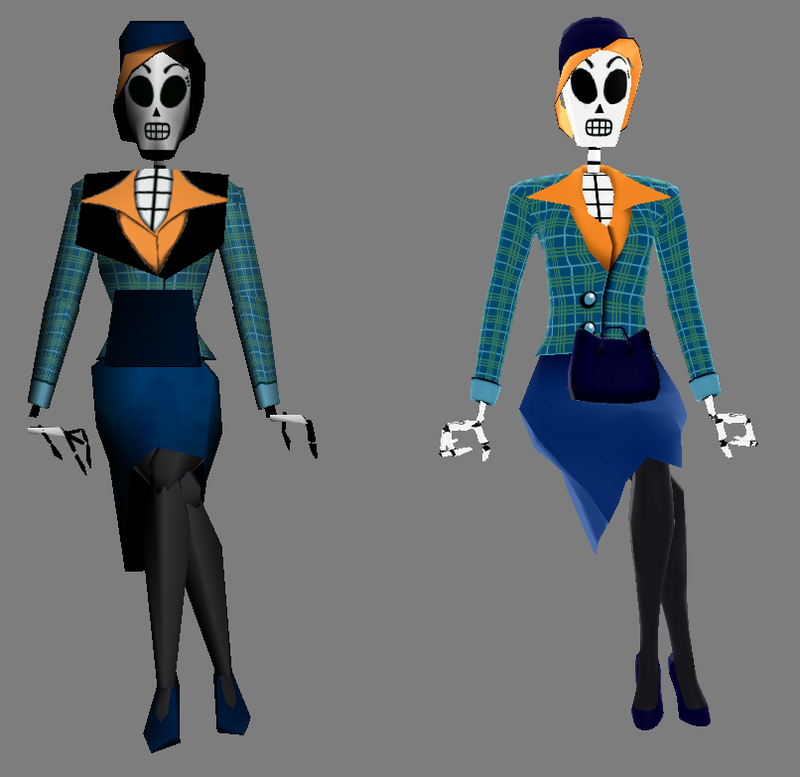 Pretty sure the zbm files are just the masks that Manny walks behind, but I could be wrong. Every pixel in the zbm encodes the depth as a value for the z-buffer. If you use the exact same (OpenGL) camera settings as the original and fill the z-buffer with the zbm, depth filtering will give the desired effect. https://github.com/residualvm/residualv ... r.fragment has a workable implementation. 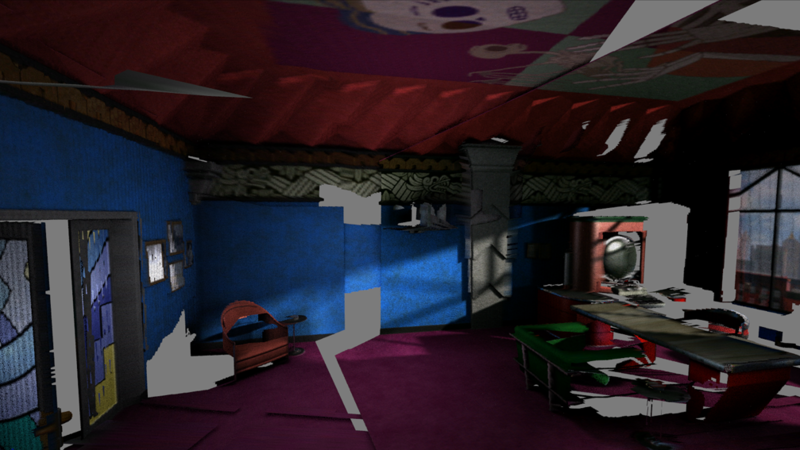 You could roughly reconstruct the room as they did by doing the inverse transformation on the values in the zbm and creating a mesh from them. Wow, that's awesome. Could you really do that? so how can we do this? 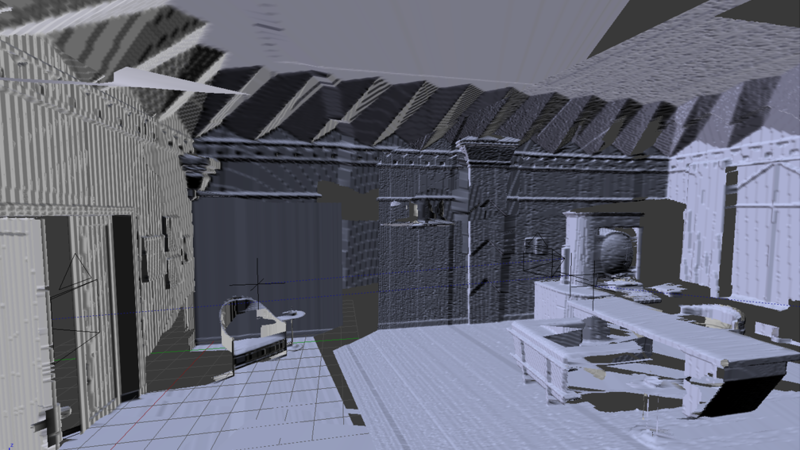 we do have the original camera angles but what can we use to create the mesh? 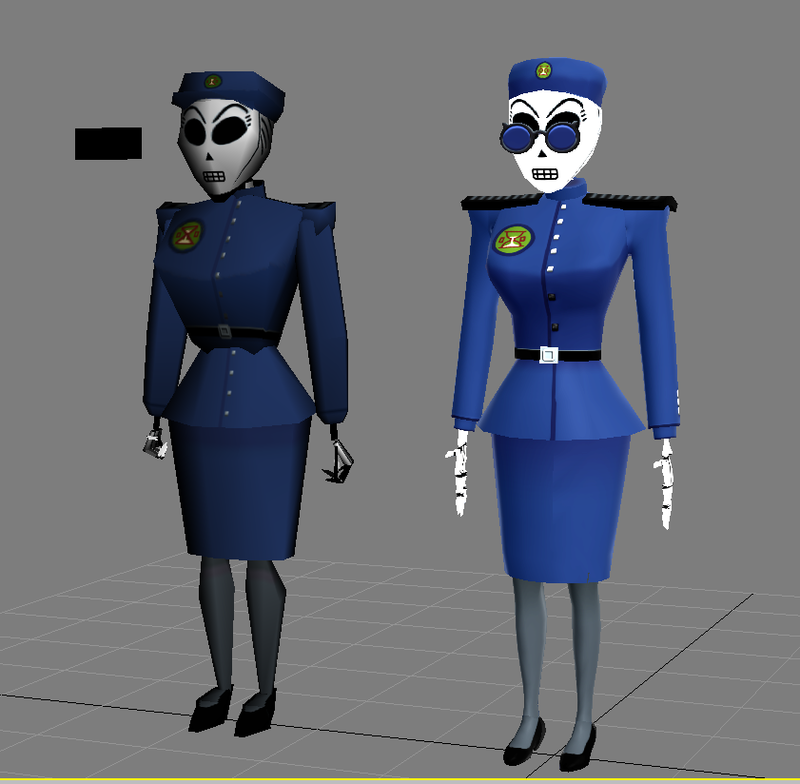 thanks to Botje i was able to create a tool to build a mesh of the backgrounds from the zbm files. 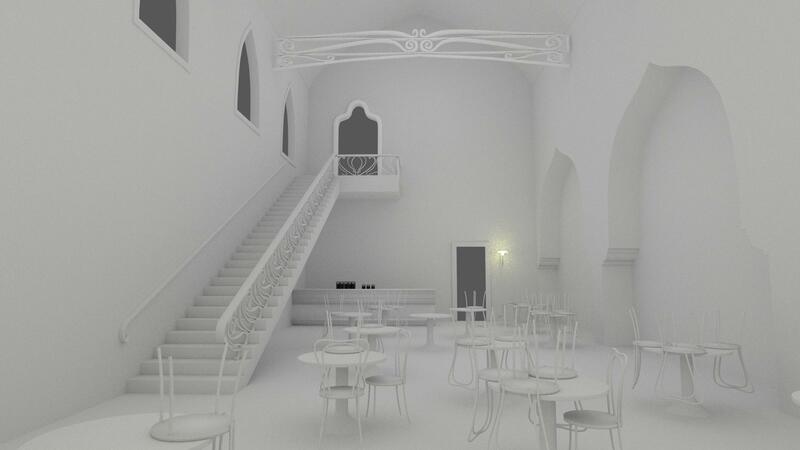 to create a scene i recreate all the backgrounds of a room and using the camera setting stored in the l3d files i combine them to create the mesh. i still haven't figured out the right scale so the backgrounds don't fit perfectly but it's not that bad. i don't know if anyone here is interested in recreating the backgrounds but it should be a lot easier with this. Wow! That's seriously impressive stuff! Maybe you could share your tool on GitHub or something? i will as soon as its more presentable. Wow, I never thought of doing that! Great idea, can't wait to see more. Hi to everyone! I am Cervian. I want to help recreate the backgrounds. Is it possible to have this tool? I used a different approach to match camera setups by reconstruct manually .set file content: hey contain cameras, lights (of the original game), walk planes, shadows, etc. Last edited by Cervian on Sun Feb 22, 2015 1:28 pm, edited 1 time in total. i posted the program in this thread, see if you can use it. 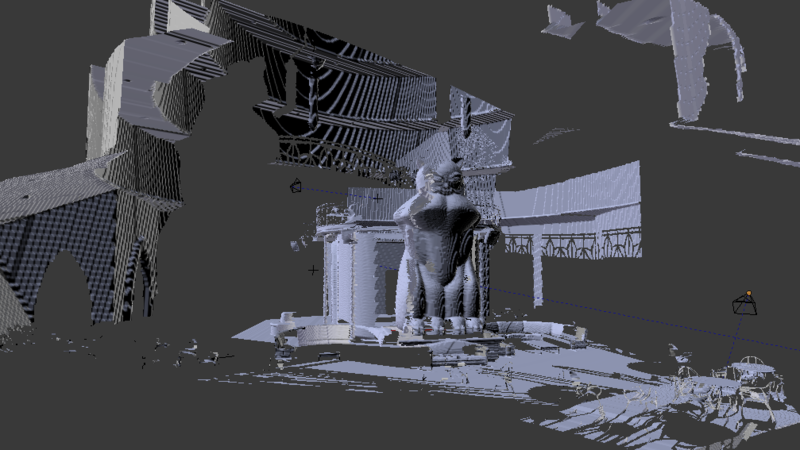 i didn't know that the .set files contained any geometry, how did you create your scenes? did you create each vertex by hand? also you character models look great.